Check back in the fall for schedule updates. I was looking for Scrooged with Bill Murray and Karen Allen. Is it not playing this year? Is any channel planning to show “Eloise at Christmas?” It is one of the most light, wonderful & entertaining movie in the last 10 yrs. or so. The 1951 version of A Christmas Carol has aired on TCM the last few years. I would like to see “It’s a wonderful life” with James Stewart in the Christmas lineup. I’m 41 yrs of age and watched it when I was younger. Have been disappointed in AMC for a long time! They should rename it because it is not classics! I totally agree. I loved this channel when they broadcast classics and liked the narrative stories told by movie experts. So disappointed, but am somewhat satisfied that at least they will broadcast several classic Christmas movies. I agree about classics not being shown while a lot of inane garbage is shown again & again…yuk…”Ernest”…really??? Where is Holiday Inn, Christmas in Connecticut, Holiday Affair, Meet me in St Louis??? These are classic & classy. Get a grip TMC or you will lose your following. I didn’t think this was a comedy channel for kids. I Agree!! Love Holiday Inn..Christmas In Connecticut.. White Christmas Especially!! Miss Seeing Them On TV So Bought Them On CD A Few Years Ago..But Still Like To Watch Them On TV..Wish They Would Show Them!!! I am watching White Christmas after Miracle on 34th Street .Real treat! Where is White Christmas? Stupid decision to NOT include it. Classic for many reasons. Incredible movie. I can’t find it anywhere. My Sons 19 and 22, Love the one liners between Cosby and Kaye…. My daily check showed that it will be on Saturday, December 16th at 10 :15pm. More classics listed that weekend too. Networks should include these in earlier listings to allow those of us who enjoy these classics to plan for watching. Thanks Rob ! Merriest of Christmas’s to you and yours! From the foothills of the Appalachians in Southeast Ohio ….. I totally agree, I’m 56 years old and I grew up on “White Christmas “, it was a tradition growing up to watch it as a family. It saddens me that it’s not going to be on. Saying white Christmas implies not all races are included. Seriously, you better be joking. I have watched White Christmas along with many other classics for 50 years +.They are a special part of my holiday celebrations.I will continue to enjoy them despite any criticisms that are published or stated. It wasn’t meant to imply anything. It is a classic movie without racial overtones. Get a life. It’s clearly listed on the schedule above! Yes, it’s “clearly on the schedule above, ” NOW but it was not on the schedule they originally posted, which is when all the questions started coming. Glad they responded and corrected their error and will now be showing it. White Christmas is on tonight December 16th and December 17th in the morning. should not mean the elimination of Christmas classics.. anyone at AMC hear us? I agree, I want my grandchildren to see the classics but they and I cannot stay up that late to watch them. You SERIOUSLY removed White Christmas grin your line up This year?? REALLY?? You’ve still got time to change that horrible decision! Absolutely agree that dropping White Christmas is horribly pathetic as is most of what the holidays have become. Very disappointed in AMC Christmas Schedule-where is White Christmas for the “family” to watch, where is Miracle on 34th Street…. very upset, the present list of movies are the worse. Then you play White Christmas at 2:30 in the morning, seriously! Agreed. The movie line up is not good. How does AMC determine the line up? I like new and old classics, like White Christmas, Miracle on 34th Street along with things like Home Alone and National Lampoon’s Christmas Vacation. I am not 100% sure what Deck the Halls or Four Christmas’ are about or who’s in them and I’m a “milenial”. Hope next year is better! AMC, this year’s Christmas movie lineup is VERY DISAPPOINTING! Four Christmases is going to be shown several times, along with Home Alone 2, yet White Christmas (a traditional classic) is only shown a few times. Most disappointing of all…no Miracle on 34th Street nor It’s a Wonderful Life??????????? I am truly at a loss for words and dumbfounded on your choice to exclude those!!!!!!!!!! I want to see Home Alone!! Not 2 or 3! Yes , Miracle on 34th St…..the original!! Christmas Carol, 1930 or 1950’s version!! C’mon AMC! Maybe TCM will do better!! I’m very upset. White Christmas shown at a rediculos time and no Miracle on 34th Street nor uts a wonderful life. All are classics that we and our children grew up with and those they choose to show are pure crap. It’s a Wonderful Life actually shows every year on Christmas Eve on NBC. Actually, two words: “Truly awful.” The mediocrity and banality of the movie choices invites both disbelief and derision. Showing “Home Alone” repeatedly as if, somehow, that qualifies as a legitimate and appropriate movie to celebrate the holiday season insults (or should) the intelligence of the viewer. Is the movie vault at AMC so bereft of good Christmas movies that are classics that “Home Alone” becomes the standard for Christmas movies in place of at least a dozen authentic, quality Christmas movies from years past? Classic Christmas movies like the 1951 “A Christmas Carol” or “Miracle on 34th Street” or “Holiday Inn” or “The Gathering” or “A Christmas Story” — are these movies missing from the AMC vault? Having “Home Alone” represent what AMC considers its showcase or flagship Christmas movie for the season is an embarrassing admission as to how far AMC’s programming standards have fallen. 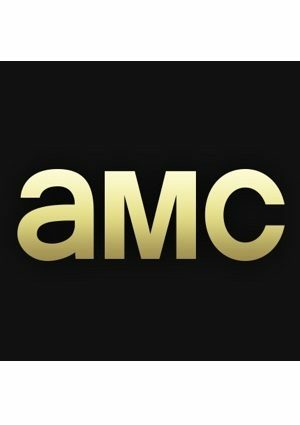 AMC, regrettably, has lost much of its luster and reputation for quality since it began showing only a limited selection of movies and interrupting them with commercial breaks every 10 minutes. Wow….get some holiday cheer and quit complaining!! Just imagine the good you could have done instead of writing that loonnng email….. There are so many wonderful movies out there, why do you continue to repeat the same ones. What about White Christmas…Meet me in Saint Louis…On Moonlight Bay…It’s a Wonderful Life…Miracle on 34th street…Holiday Inn??? So sad we are losing the traditions. I don’t care to see the same movie 15 times n a month. It’s gets old. There r hundreds of other Christmas movies they can show besides jus Home Alone 2. They could show a different Christmas movie everyday from Nov 25-Dec 25 & not see the same one twice in a wk. TCM has all the holiday classics playing on 12/24. Beginning at 12:15 pm that day they are playing “It Happened on Fifth Avenue,” “Holiday Affair (2:15pm),” “Shop Around the Corner,” (4:00 pm), “Meet Me in St. Louis,” (6:00 pm) and “Christmas in Connecticut.” (8:00 pm). Unfortunately not AMC but alive and well on Turner Classic Movies. Yes!! Now that’s a line up! All my favorites just missing Holiday Inn and Remember the Night! Thank you for that information, Jeannie!! I so agree with you, I look forward to watching those movies with my mom. You hit the Trifecta!! GREAT choice of the true Christmas classics! Where are the classics like White Christmas? Watching Home Alone once is like watching Dumb and Dumber. Once was too much. If this is your Christmas lineup for 2016, bah humbug to you and your theatres. What a terrible christmas line up this year.Some pinko commie fag must be making up the holiday schedule. If it were a pinko commie fag you’d definitely be getting white Christmas and holiday Inn. Tsk. What will AMC air for Christmas 2016? I too am so sad about White Christmas this year. AMC has in the past been the go to, feel good channel at Christmas. Please raise your standards and level of celebration back to what you have done in years past. I agree completely. It’s been a tradition in my family from the time it first aired. I have such happy memories watching it w my grandmother in the 1960s. I continued it with my children and grandchildren. How sad that you’re not broadcasting it. Instead you’ll show home alone lord knows how many times. Very sad sad sad! That is the most awful times ever, did you forget that some people do have to work, and i only see it listed twice on the schedule WHY???? I would like to see the old movies at Christmas also. Christmas in Connecticut, Little Women, Meet me in Saint Louis, etc. Please play these. Let’s not forget the great American movies that we all love. I am disappointed with AMC’s Christmas movie lineup this year. Why is White Christmas only on three times, with two of the showings late at night? Why is the George C. Scott version of “A Christmas Carol” not included at all? Why are there so many airings of Home Alone? I think AMC is being programmed by Scrooge who don’t like Christmas at all. They even forgot Holiday Inn and Christmas in Connecticut. Shame on AMC for their weak movie lineup this Christmas. Stopping by to give a BIG thank you for the awesome Christmas Movies. The Home Alone series is a warm classic, very popular with the little ones and Dads & Moms. Super idea since A Christmas Story is run 24 hours straight on another channel. I am so disappointed in AMC with their lack of traditional Christmas movies. Where’s the movies about Jesus and his birth?? I also agree with everyone else.. stop the over and over with Home Alone. All points made above are right on. I saw Ben Hur with the birth and death of Christmas and his acts of kindness throughout his life! One of the best films ever made! This line up is terrible! I love Home Alone, but only the second movie is being played (over and over). Why is AMC playing The Santa Clause 2 so much? There are 2 more movies in that trilogy also! Please bring back A Christmas Carol for next year! For future Holiday airings, will you consider showing the Waltons movie “The Homecoming”? If you can get the rights of course. Hi, I commented last year. Just like last year, the Christmas movie schedule is awful. I do believe it is getting better. You put on Miracle on 34th Street a lot more than last year which is good. Unfortunately that is the only good thing. You have the Santa Clause 2 on MULTIPLE times.Why? Why just the second one? There is a first one and a third one you know! You put on Home Alone again MULTIPLE times! Why? Just like I said last year, IT IS NOT A CHIRSTMAS MOVIE. It is especially not a Classic! All it’s about is a boy that gets left home alone in the winter, it has nothing to do with christmas! AMC stands for American Movie Classics, sooo play classics. You are not even playing A Christmas Carol with George C Scott or It’s a Wonderfull Life. They are two of the greatest christmas movies of all time. Just so you know, I’m 20 years old. I grew up watching Home Alone its okay to watch once, watching it multiple times is torcher! Please for the love of christmas,, stop playing home alone so much and start playing the older classics. Im 20 I like them, I liked them when I was younger too more than home alone. Parents know nothing about what kids want. you’d think parents would want to watch the classic too. Going My Way, Bells of St. Mary’s, Miracle on 34th Street, It’s A Wonderful Life, and of course a Christmas Carol with George C Scott. There also was one with Henry Winkler that was set during Depression that was very good. Come on AMC, you can do it, don’t let us down! Why so much of Home alone and Santa Claus? AMC can change the line up. Can’t you hear the cries of people? Bring on the classics. What about The Bishops Wife? The Belles of St. Mary’s? Actually it aired Holiday Inn and called it White Christmas. Seen both movies in the past.White Christmas =White Christmas this year. Enjoyed Miracle on 34th Street and White Christmas last night! Why no White Christmas this year. I enjoying viewing this movie every Christmas season. I’ve come to love “The Bishop’s Wife”. Will it be playing? And it may not really be White Christmas. I saw it last weekend advertised as White Christmas but it was actually Holiday Inn (which I happen to like better than White Christmas). Why play the same movie over and over again? Who does your programming? This seems like a very lazy movie schedule! What happened to George C. Scott in A Christmas Carol from 1986? It’s the best Christmas movie ever! What about Prancer? You did not do your customers justice by playing Home Alone over and over and over again! As an (already unhappy) Time Warner customer this may just push me over the edge! WTF is this line-up? Home Alone!?! Where is ‘Scrooged’, Any version of ‘A Christmas Carol’? Hell, you used to play action movies that had even the most subtle Christmas references (Die Hard, Batman). Just sad. I won’t be turning on AMC very much this season. This is a terrible line up. I can’t believe you are not showing a wider variety of movies. this year list of Christmas movies is awful, where is a Christmas carol and miracle on 34th street and all the other that people have mention, who ever thought of this years line up should be fired or demoted at best for thinking that this year line up is some how decent. AMC’s Christmas lineup is absolutely terrible this year. They are showing hardly any christmas shows this year. I cannot believe there is no Miracle on 34th Street, its one of the greatest christmas movies of all time. Same with A Christmas Carol. AMC your airing list is awful. First of all The Home Alone Movies are not even Christmas movies, the time of year during the movies just happened to be winter. Put on the Classics please. All ages watch them trust me im 19 and i’ve been watching them for a long time and will continue to watch them. The month of December is when people expect Christmas movies to be on tv. So put them on, its the only time of year that they’re ever on tv. except for this year because of AMC’s terrible choice of Christmas movies. Trust me if you want more viewers during the christmas season put them on. Thanks! Hi Ellen, NBC owns exclusive rights to air It’s a Wonderful Life. No other network is able to play it. NBC will have it on December 20th and December 24th at 7pm ET. OMG! What happened to the “Miracle on 34th Street” marathon? I was so looking forward to that! I can’t believe AMC skipped this classic movie this year. Please bring it back! What the heck happened to “A Christmas Carol” with George C. Scott? You guys used to play that every year!! We were wondering the same thing Carl, pretty disappointing. Where is Miracle on 34th Street, Holiday Inn and It’s a Wonderful Life? If these aren’t holiday movie classics then neither is Home Alone!! Bring back the true classics!! Holiday Inn and Auntie Mame!!!! and Holiday on New Years’ Eve! Home Alone? Really? Blech! I like the movie, but you are over doing it. Thank You AMC for playing these great Christmas Movies many people love to watch. Ive been watching the 1938 version Of A Christmas Carol for “Many” years. Happy Holidays to AMC.